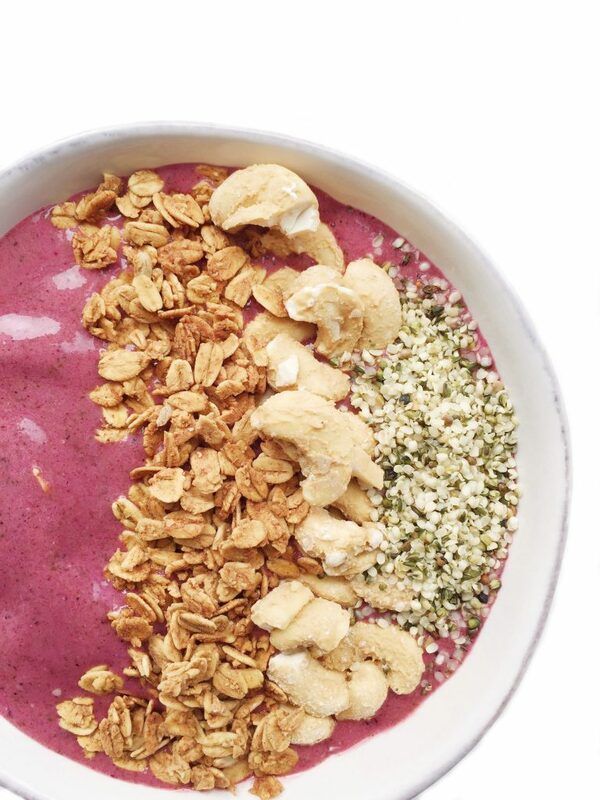 Green Dragonfruit Smoothie Bowl packed with greens and some of my favorite smoothie bowl essentials. I am the first to admit that I do not eat enough greens. Now if you ask me if I eat enough protein or carbs, you’ll see both my hands waving in the air. I am making a conscious effort moving forward to eat them at least once a day, which is harder for me than it sounds. That is why we are making a Green Dragonfruit Smoothie Bowl. 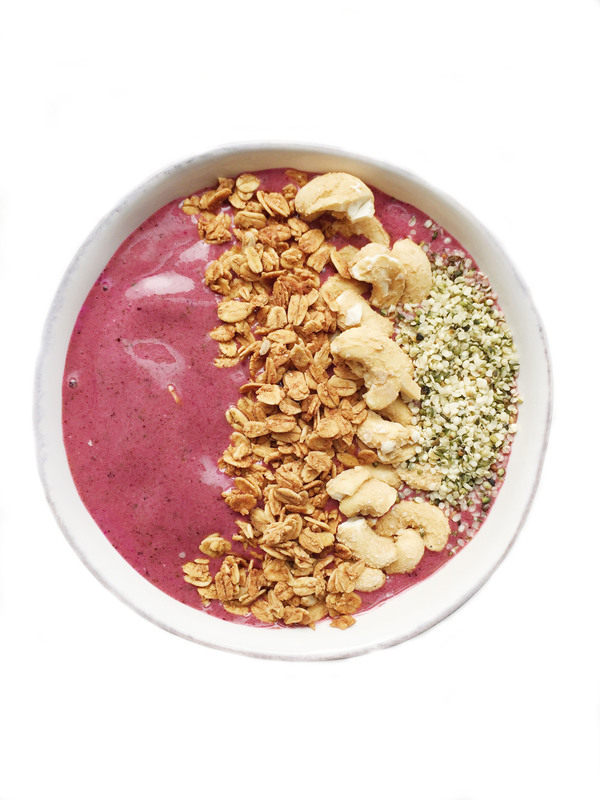 Even though it’s December and my finger tips have frost bite any time I go outside, I will still be making and eating smoothie bowls when I am in my toasty apartment (one of the plus sides to living in a studio). We barely have to put the heat on, especially when our oven is on – the apartment heats up SO quickly! 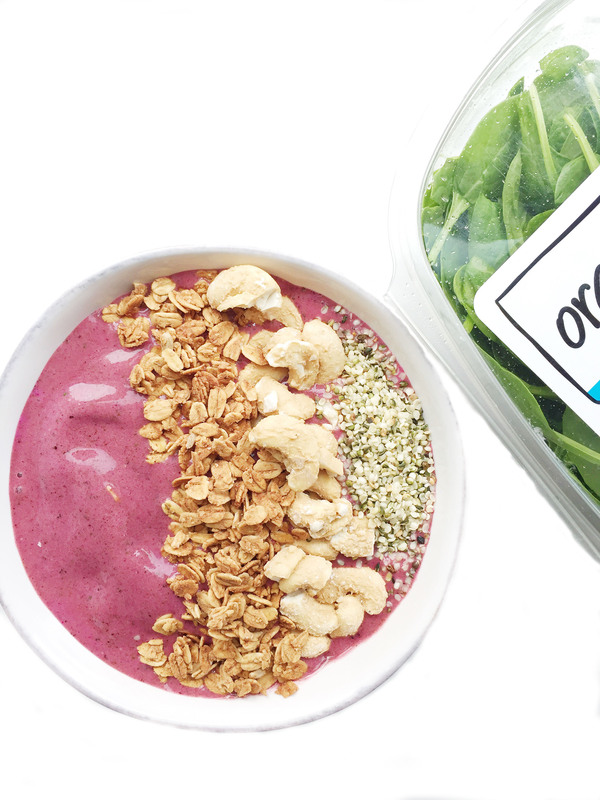 This Green Dragonfruit Smoothie Bowl has spinach in it (I promise you can barely taste it) and ton of my favorite ingredients that taste amazing and are amazing for you, so it’s basically a win/win if you ask me. Those cashews look freaking delicious. Of course the smoothie does too! Smoothies are my fave way to get in greens even when it’s winter?? When I was in Cambodia last year, I ate a ton of fresh dragonfruit! I love the texture and the color of its skin. I’ve never thought to put it in a smoothie! Yum! Oh my gosh that would be amazing. I haven’t ever had fresh dragonfruit! only the frozen packets, which taste amazing. I can only imagine what it tastes like fresh! I usually hate the colour my smoothies turn when I mix green stuff with pink/purple coloured fruits. Need to try this one though, cuz it’s beat! Yum!! This looks so simple, tasty, and pretty.